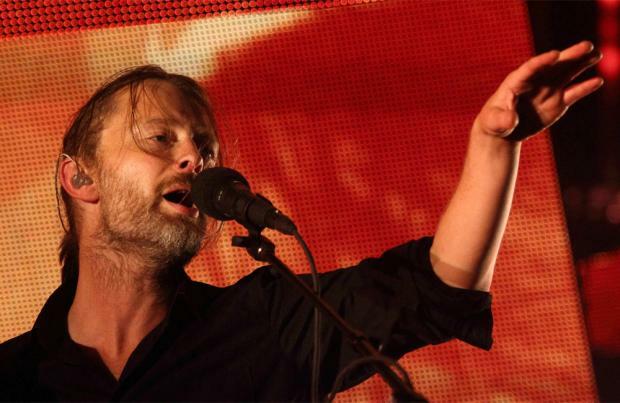 Thom Yorke thinks Radiohead will "keep going". The 48-year-old musician is best known as the frontman for the 'Creep' hitmakers, and has said he doesn't believe the band will "stop", despite rumours they are planning on parting ways when their current tour in support of their 2016 album 'A Moon Shaped Pool' comes to an end on July 19. He said: "I would imagine we'll keep going. I mean, I don't know how, or when, but no, we're not gonna stop. I f***ing hope not." However, Thom does admit he has plans for his solo career which he has to finish, so any work with Radiohead will likely be put on hold for a while. He added to Rolling Stone magazine: "There's also a bunch of things I'm doing on my own that I have to finish. They've been on hold for ages. Whether they will translate into anything, I'm not quite sure. It's kind of weird. I don't have a plan for the second part of the year at the moment. I mean, I wasn't able to plan things for a long time now and now I can. I'm trying to get my head around that." Later this month, Radiohead will mark the 20th anniversary of 'OK Computer' with a 'OKNOTOK' compilation, which will feature three previously unheard tracks - entitled 'I Promise' 'Lift' and 'Man Of War' - and will be made available on June 23. Meanwhile, the band's longtime collaborator Nigel Godrich revealed that recording their most recent album - which came five years after their last venture 'The King of Limbs' - was "an intense experience". He wrote on Twitter: "It's out! Making this album was a very intense experience for me. I lost my dad in the process...Hence a large piece of my soul lives here ... in a good way. I eternally thank my brothers in radiohead for all the love that went into it.. and for their support. happy listening all (sic)." Indie visionaries who grew to become a global prog-rock phenomenon.